STEM fields always offer good pay and job demand. Engineering-based psychology is no exception. This is a rewarding career trajectory with exciting, ever-changing work demands. It’s perfect for innovators and tinkerers with strong writing and interpersonal skills. 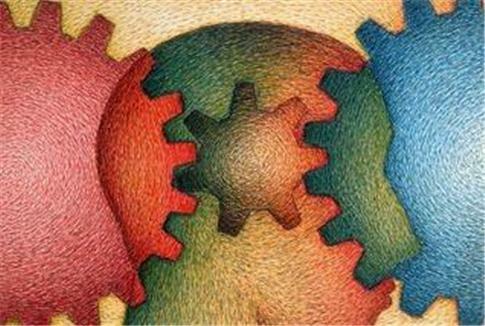 Here’s a look at five important traits for succeeding in engineering psychology. Engineering psychologists do more than adjust office chairs to prevent worker injuries. These experts tackle complex programs, most of which involve extensive computer and technology usage. They may also design medical equipment or work for consumer electronics companies. No matter what specialty they enter, engineering psychologists need a deep understanding of technology. Many undergraduate and master’s degrees in engineering psychology require several computer science and computer engineering courses. Although some level of aptitude can be taught, it’s best for potential engineers to feel relatively comfortable working with technology before enrolling. Entry-level certifications like A+ or a basic introduction to programming can be helpful. Social science research is the backbone of the engineering psych field. According to the U.S. Bureau of Labor Statistics (BLS), the top employment field for industrial-organizational psychologists is scientific research and development services. Even outside of this specialty, every position in engineering psych requires research. These workers must conduct focus groups and interview with end users, measure injury reduction rates and monitor productivity improvements. A student considering this field should love discovering new information, analyzing data and other aspects of research. Strong statistical skills are helpful, but a passion for research can overcome any difficulties with mathematics. One of the requirements that sets engineering psychologists apart from other engineers is the deep connection to people. A chemical engineer might spend every hour in the laboratory, far away from human interaction. Engineering psychologists design products for human usage. They must be comfortable interacting with a variety of people and drawing them into conversations about product features. This field is not a good fit for the socially awkward. Engineering psychologists help people in many different fields. For example, one psychologists might design better aviation safety mechanics while another one makes suggestions on the best time-off policies for oil rig workers. This versatility requires a deep level of curiosity. Successful engineers look at new projects as puzzles to be solved rather than inconveniences. Designing a new project might necessitate a week in the field, observing how workers use current equipment, followed by a month-long experimental phase as different prototypes are considered. Good engineering psychologists are always trying to learn more. While it’s true that every field wants workers with strong communication skills, this ability is very important for engineering psychologists. Most work in team settings and must be able to translate complex research ideas into easily understandable language. In small companies, engineering psychologists may be asked to write technical documentation for end users. Taking a course in business writing or maintaining a well-written personal blog is a great way to showcase writing skills to future employers. This is an exciting, growing field, but it’s not for everyone. If you have at least three of these important skills for working in engineering psychology, start looking for career training programs today.